China on October 8 launched the first phase of its much-anticipated China International Payment System (CIPS), a milestone in bolstering yuan\'s global usage and furthering cross-border clearing of its currency from the Chinese mainland instead of offshore centres abroad. China on October 8 launched the first phase of its much-anticipated China International Payment System (CIPS), a milestone in bolstering yuan's global usage and furthering cross-border clearing of its currency from the Chinese mainland instead of offshore centres abroad. The CIPS provides capital settlement and clearing services for cross-border yuan transactions for financial institutions domestically and abroad. It will enhance efficiency and increase global use of the Chinese currency, said Fan Yifei, vice president of the central bank, the People's Bank of China. Previously, cross-border yuan clearing had to be done either through one of the offshore yuan clearing banks in places like Hong Kong, Singapore and London, or else with the help of a corresponding bank on the Chinese mainland. CIPS will have a significant role in shoring up China's real economy and promoting the "going abroad" strategy of domestic enterprises, Fan said. 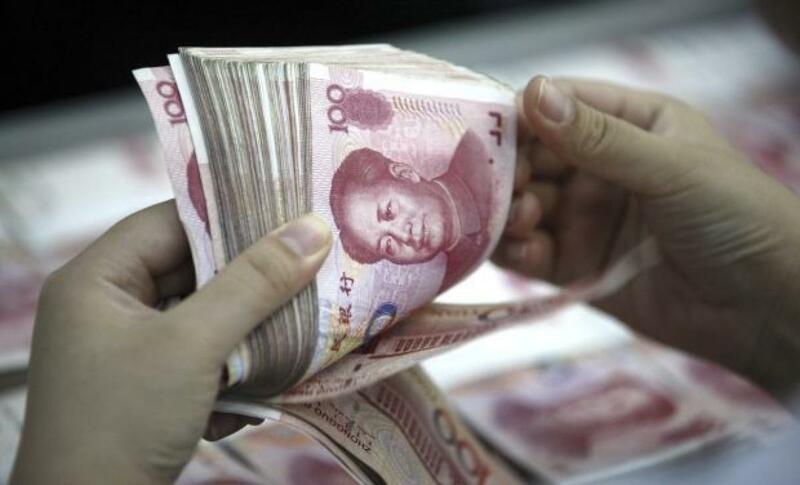 Developed and administered by the central bank, CIPS enables market participants outside China to clear yuan transactions with their Chinese counterparts directly from 9 a.m. to 8 p.m. Beijing time during any working day under a coding format in line with international practice, state-run Xinhua news agency reported. China's yuan became one of the world's top five payment currencies in November 2014, overtaking the Canadian dollar and the Australian dollar, according to global transaction services organisation SWIFT. China has encouraged global use of the yuan in recent years. The central bank designated 10 official yuan clearing banks last year, bringing the total to 14 globally that can clear yuan transactions with China. Today's move came as China launched a host of reforms to halt the slow down of the economy which is hovering around seven per cent with forecasts that it would dip down further. According to IMF, China's growth is expected to slow from 7.3 per cent in 2014 to 6.8 per cent this year and 6.3 per cent in 2016 as the country struggles with its shift from export to consumption-driven economy. In recent months, China's benchmark stock market has fallen sharply and the government devalued its currency to help prop up its exports. The launch of the CIPS was expected to boost the Shanghai Free Trade Zone (FTZ) launched in 2013 as test bed for new reforms. After Shanghai, China launched FTZs in Guangdong, Tianjin and Fujian. Chinese officials say that the FTZ were part of a new, more open economic system, exploring new models for regional economic cooperation, and establishing a law-based climate for business and commerce.